Announcement I hand make leather cup holders for bikes and awesome beer holsters! 100% veg tanned leather bicycle cup holders will work with your cruiser bike basket, or looped around your handlebar, it's a cool bike accessory. My beer holsters are also hand made with the same leather, customs made to add your initials, name, maybe some jewelry. High quality. The perfect groomsmen gift or wedding favor! I hand make leather cup holders for bikes and awesome beer holsters! 100% veg tanned leather bicycle cup holders will work with your cruiser bike basket, or looped around your handlebar, it's a cool bike accessory. 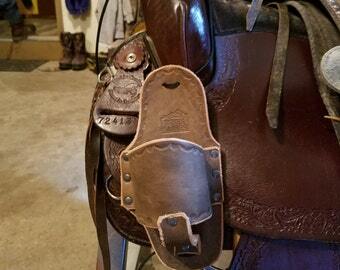 My beer holsters are also hand made with the same leather, customs made to add your initials, name, maybe some jewelry. High quality. The perfect groomsmen gift or wedding favor! Personalized Custom leather and stainless steel bicycle cup holder, cruiser bike accessory. This sling is so well-made and perfect! I would buy one again and again. Thank you! Drink sling is perfect!! Beautifully crafted and personalization!! Great gift for the guys! !